Where's Saturn? 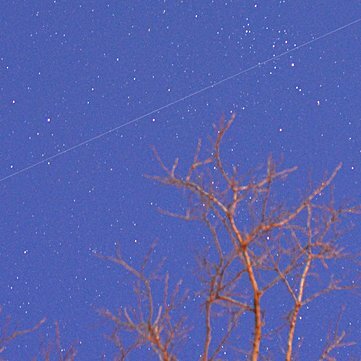 Is that a UFO--or the ISS? What's the name of that star? Get the answers from mySKY--a fun new astronomy helper from Meade. Amateur astronomers: If you're planning to attempt photography or other observations of the Navy's ASAT attempt on USA 193, NBC News would like to interview you before 5 pm EST today. For more information please contact NBC News producer Scott Foster. 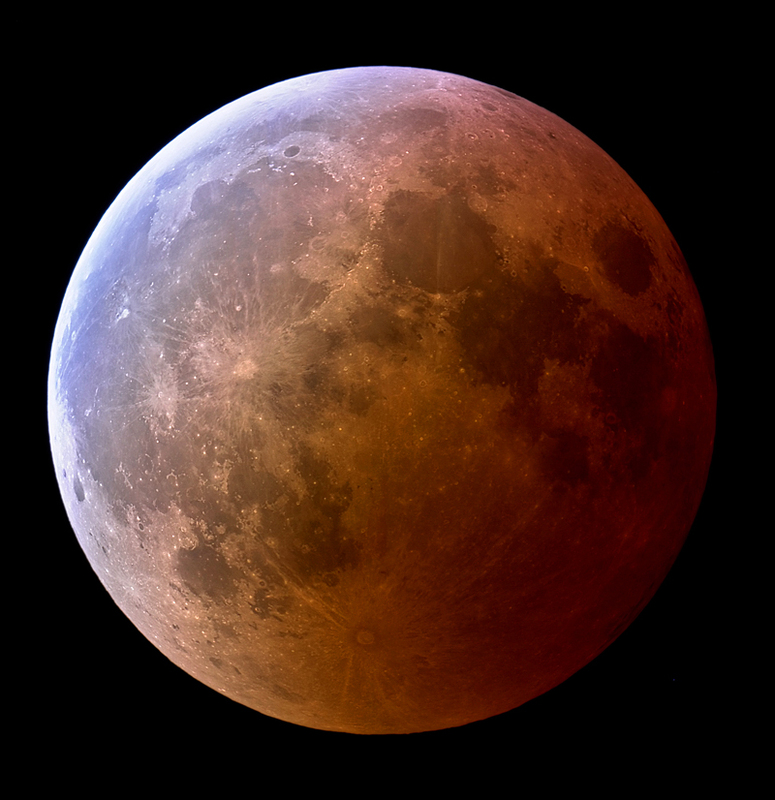 TOTAL LUNAR ECLIPSE: Tonight the full Moon over Europe and the Americas will turn a delightful shade of red. It's a total lunar eclipse—the last one until Dec. 2010. Exactly when should you look? Click here for an animated timetable. 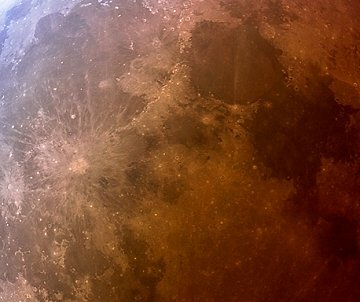 As explained in a recent Science@NASA story, red isn't the only color to look for when the Moon glides through Earth's shadow. Observers of several recent lunar eclipses have reported a flash of turquoise. For example, note the upper left corner of the above photo taken by Jens Hackmann during the European lunar eclipse of March 2007. The source of the turquoise is ozone. Earth's ozone layer absorbs red sunlight while allowing blue rays to pass. This has the effect of turning Earth's shadow turquoise-blue around the edges. Look for it during the first and last minutes of totality (10:01 pm EST and 10:51 pm EST). "It was moving right along (quickly) and gave the appearance of being out of control," says Bush. "This is a 15 second exposure using my Nikon D200 at ISO 640." Experienced sky watchers estimate the brightness of the satellite in the magnitude range +1.5 to -0.5, i.e., similar to the stars of Orion and an easy target for off-the-shelf digital cameras. On February 20, 2008 there were 927 potentially hazardous asteroids. The official U.S. government bureau for real-time monitoring of solar and geophysical events, research in solar-terrestrial physics, and forecasting solar and geophysical disturbances.